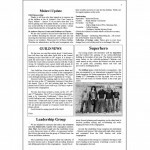 For the latest edition of Quest magazine, click here. For all previous editions of Quest magazine, click here. 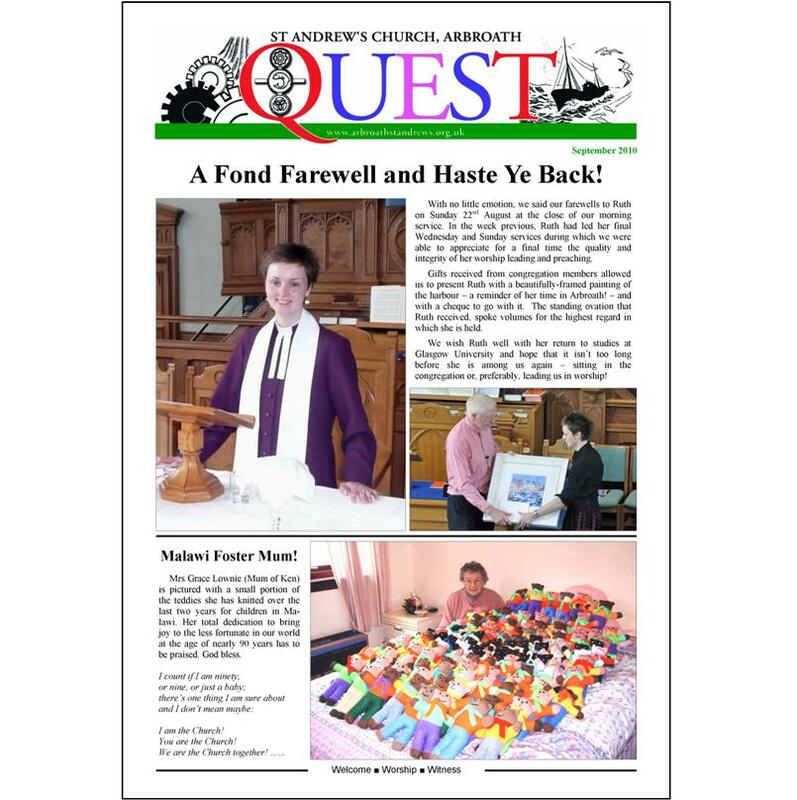 Quest is the monthly magazine for St Andrew’s and is delivered to our members through our Contact Team (see elsewhere). 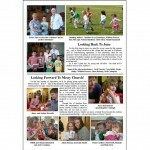 Members from further afield can either pick up their magazine when they attend church, or we can post it out to them. 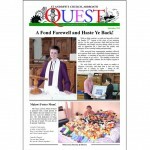 Quest can also be downloaded from our website where they are archived. Members are well informed on past and future events, and are kept up to date with reports on our ministries at home and abroad. Also, by the use of colour photographs, it helps our church family to grow closer because they are able to recognise and name fellow members, young people, and children. Because it is such an important means of communication, some time ago we decided that we would go for a high quality print. 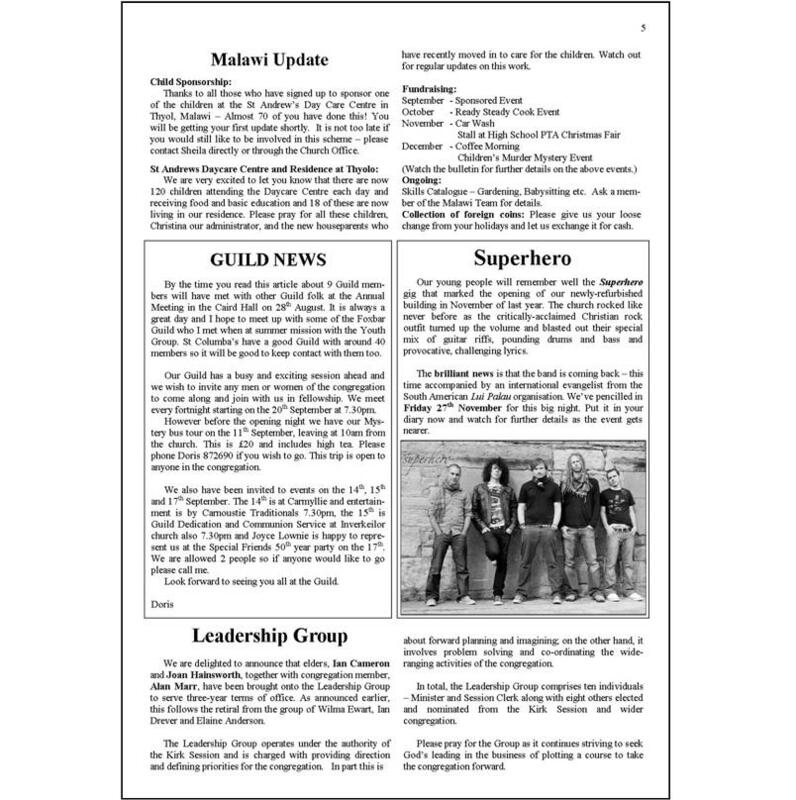 Using Microsoft Publisher, the magazine is therefore produced (‘typeset’) by one of our members, and then printed by a commercial firm using high quality paper. 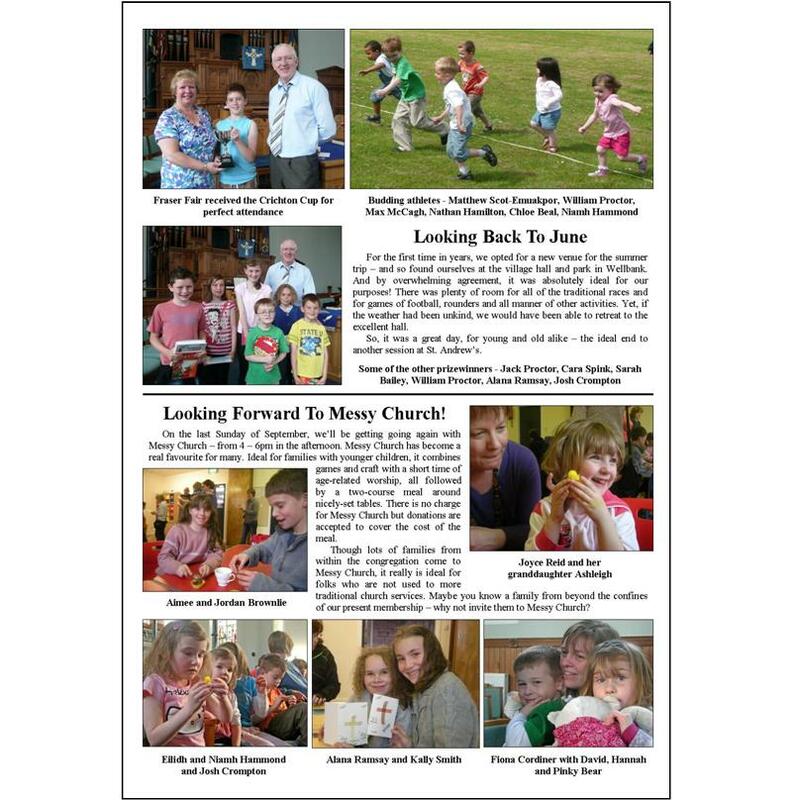 A full eight page A4 size magazine, with colour on front and back pages, costs us £260 per run, but this is partly covered by the donations that we receive from members.